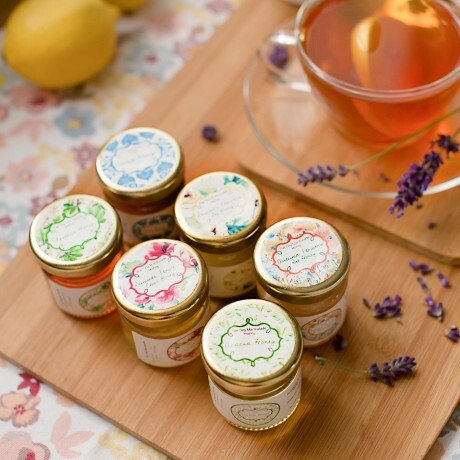 Gorgeous selection of six gourmet honey jars. Looking for the perfect gift and running out of ideas? 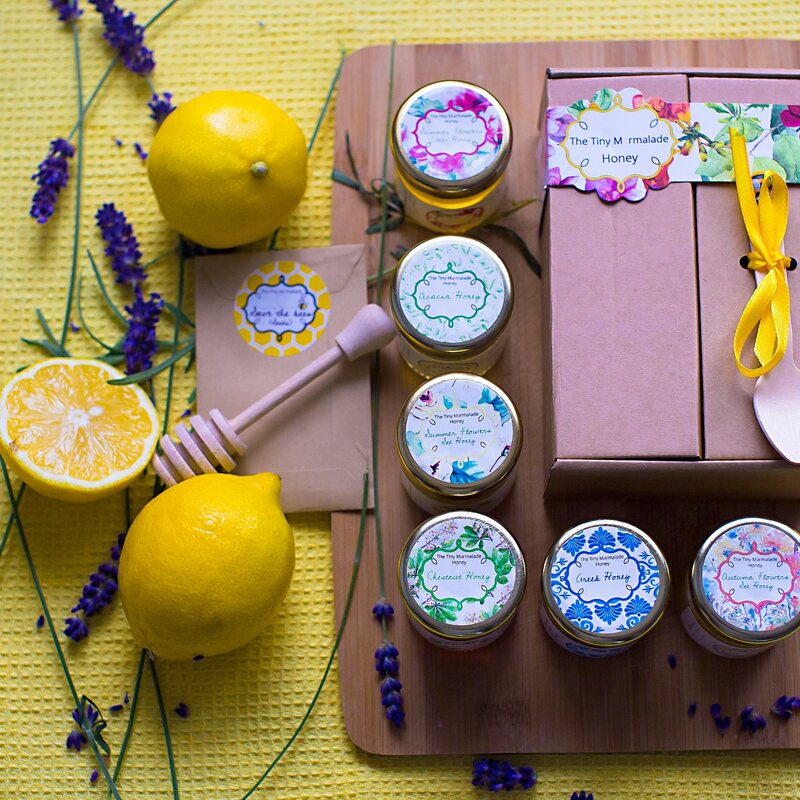 This delicious set contains 6 finest honeys specially selected for you. 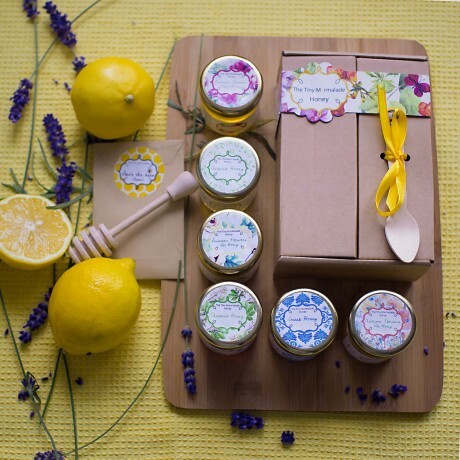 Perfect for any connoisseur, this Honey Taster Box contains six jars of honey from a selection of English Wildflower, Greek, Acacia, Chestnut, Orange Blossom and much more. This special collection would make the perfect accompaniment to toast, sandwiches and afternoon tea. All our honeys have been harvested and procured in a totally sustainable way that supports biodiversity and a sustainable livelihood for the region. 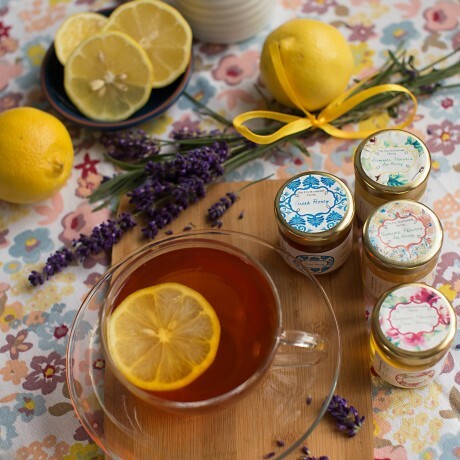 Try them all and enjoy all the countryside goodness! Thinking on someone? Get it personalised! Add any message you like to your box, and get it sent to any address of your choice. A selection of 6 different honeys from our wide range including Devon Summer Flower Set Honey, Devon Autumn Flower Set Honey, Acacia Honey, Greek Honey, Chestnut Honey, Devon Clear Summer Flower Honey, Devon Spring Blossom Set Honey, and much others. Honey varieties may vary within the year. Full list of ingredients available in labels according to food labelling regulations. Labels and all packaging are made of paper and cardboard.Jars are made from clear glass. Gold coloured lids.